Many online traders are eager to begin sourcing products from abroad, most especially from China. If that�s what you�d like to do as well, take the time to read our Forum Guide before you get started. Importing attractive, low priced goods from another country is a terrific way to increase your profit. But international trade transactions are complicated and you really need to have a handle on what you�re doing, especially with regard to costs, or you can take a financial thrashing. Our guide has been developed from advice �straight from the horse�s mouth�, that is, ecommerce entrepreneurs who have been there and done it already. We have placed a goldmine of advice from these experienced traders into an organized format for your use, saving you many, many hours of searching the forums for insider advice. Be advised, however, that this advice may not work for everyone under all circumstances. When in doubt, be guided by your own professional advisors. Before we break the importing process down into its component parts and pass along insider advice, let�s take a summary walk through the process of importing. 2. Investigate the costs of importation, e.g., customs duty, shipping, warehousing. 5. Discuss and agree on shipping and payment terms. Ensure that proper documents will be available. 6. 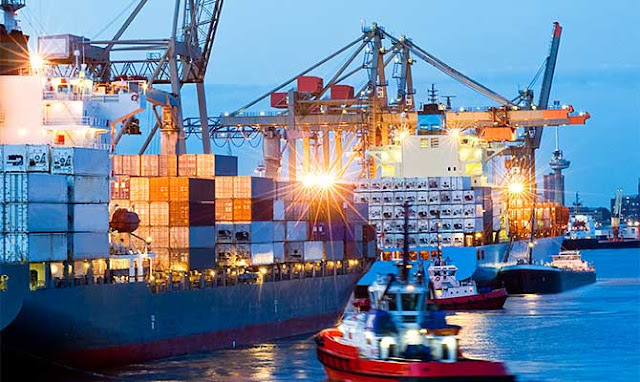 Select customs broker and shipping agent. 7. Place trial order. If the order is large, hire an inspection company. 9. Track progress of your goods through delivery to you. As you can see, importing can be tricky, especially in the beginning. But we've got the information you need to improve your profitability by importing. We talk about sourcing in other forum guides so we won't spend time on it here, except for some good Insider advice. GOOD ADVICE: If you are going to go straight to China to source your products, don't decide "Hey, I�ll buy these because they're the cheapest"; they're generally cheapest for a reason. To get higher quality merchandise for a good price you will need to buy in bulk with a pretty high MOQ (minimum order quantity). Or, if you are looking for smaller quantities, it's far better to reduce the risk of either confiscation or chargebacks by getting your products from a source already proven to be profitable, reliable and will stand by their guarantee should anything go wrong. Once you have identified supplier and product, �standard terms and conditions� should be established. These provisions outline the pricing and quantity arrangements for importing your merchandise. Once both parties agree on the terms and conditions the seller will draft a sales confirmation. Once the confirmation is signed by the importer, it becomes a legally binding contract. The length of these written arrangements can vary depending upon size of order and stipulations between buyers and sellers. The issue of shipping is complicated enough to spend some time on separately in the next section. If you are placing a large order, you have a great deal at risk. Lower your risk by hiring an inspection company in the country of origin to inspect the goods before they leave the country. Inspections can take place during manufacture to catch problems before they become too big, at the time of packing at the factory to be sure that the right materials are being shipped and /or at the dock to be sure that the right merchandise will be loaded up and shipped to you. GOOD ADVICE: You may be hesitant to spend the extra money on all of the �helpers� such as inspection companies, shipping agents and customs brokers. But, until you know what you are doing, these professionals can save you a lot of money by avoiding problems that can result in spoiled or inferior product shipments, unexpected importing costs or goods held up in a warehouse while problems are sorted out. Shipping is a huge issue that is fairly complicated to understand, especially when you are just starting out. First things first. One of the arrangements you will make with your wholesale supplier will be shipping terms. You will need to get familiar with what the various shipping terms (incoterms) are so that you know what you are agreeing to in that discussion. WARNING: Although incoterms are supposed to be internationally understood, there are some differences in definition by country, so be sure you know what your incoterm means in each individual situation. � "FOB origin" indicates the buyer pays shipping cost, and takes responsibility for the goods when the goods leave the seller's premises. � "FOB destination" designates the seller will pay shipping costs, and remain responsible for the goods until the buyer takes possession. CIF (Cost, Insurance and Freight) A trade term requiring the seller to arrange for the carriage of goods by sea to a port of destination, and provide the buyer with the documents necessary to obtain the goods from the carrier. EX WORKS A trade term requiring the seller to deliver goods at his or her own place of business. All other transportation costs and risks are assumed by the buyer. There are a variety of other possible incoterms as well. If you are starting to feel a little bit queasy about shipping, be smart and retain a shipping agent. 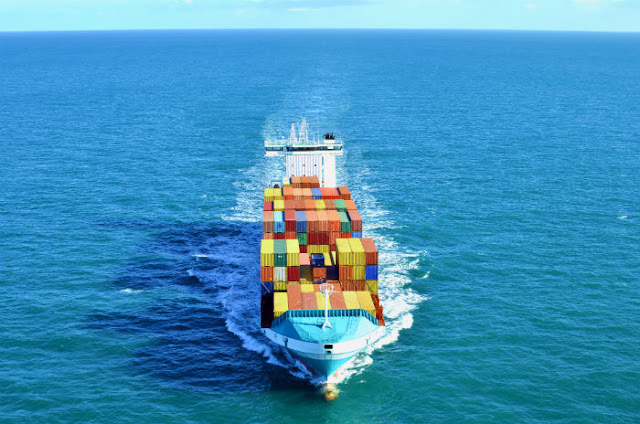 A shipping agent will handle all aspects of getting your cargo from the manufacturer or wholesaler to you. They are experts in negotiating shipping terms, arranging freight forwarding, clearing customs, warehousing and final delivery. Insiders say that you should shop around since prices vary quite a bit by shipper and the smaller agencies can do just as good a job at sometimes lower prices. One of the big issues in getting your product through customs and released to you is making sure that the needed paperwork is all in order. Skip down to the section on clearing customs for more information on required documents. You should be aware that if your merchandise is arriving LCL (less than a container load) it will go to a bonded warehouse (you will have to pay storage) until the documents clear customs and you pay all fees. Insiders say that storage fees are very high so the faster your cargo clears, the better. Your shipping agent can handle all of these logistics, including arranging for the cargo to be unloaded and delivered to you. NOTE: You may hear the word �devan� in your logistics conversation. This is an esoteric shipping word meaning to unload. You can also go to the warehouse and unload yourself. You are usually allowed about three hours to unload your cargo. If you need more time, you have to pay for it. WARNING: It can take 3-4 days from the time you present all of the documents and make payments for cargo to clear customs, so don�t be surprised. Import duty is another fee that you may have to pay upon importing goods into the U.S. Import Duty depends upon the nature of the goods, their value and the country of their originThe amount of customs you pay depend on how goods are classified and which country they are coming from. (The duty may be the result of a trade agreement.) This site, www.usitc.gov/tariff_affairs, is a good source of information. Still, you may not want to figure out customs issues on your own. This is one of those times when an expert, i.e., a customs agent, can save a lot of problems. INSIDER�S ADVICE: Use a customs agent to help you sort out duty issues. They are worth their weight in gold because they know how to get things done and can be the difference between having to pay a surprise fee or not or having your shipment held up because the paperwork is not correct. Some traders try to get around paying customs duty by using couriers or undervaluing the worth of merchandise on documentation. WARNING: �Don�t do it!� It's illegal, you will eventually get caught and you will pay penalties. Plus, Customs keeps track of offenders. If they catch you doing something you shouldn't once, they'll check you every time. According to veteran traders, correct paperwork plays a huge role in successful importing and cannot be taken lightly or you�ll spend a lot of time and money undoing the mess you�ve made. There�s not much variation from country to country in terms of the documentation that you will need when you import goods. Letter of Credit � This letter comes from your bank and states that they will guarantee payment provided the entire required documents (usually specified in the letter) are in order. If you do not use a letter of credit, you may have to provide your credit card information or make some other payment arrangement so that your goods will be released to you once they have cleared customs. Purchase Order � Use the purchase order (received from the supplier) to arrange bank financing or to demonstrate to Customs that your order is what you say it is. Certificates of Origin � The certificate of origin is a document that verifies the country from which you have imported the merchandise. It is used by Customs to assess tariffs (which can be based on originating country), limit quantities in the case where there are restrictions on the amount of a product that can come into a country (often applies to textiles) and prompt inspections of goods. Bill of Lading � The bill of lading is a description of the purchase and the shipping contents; applies to shipments by sea. Airway Bill - Same as bill of lading; used for delivery by air. Inspection Report � If you have paid for an inspection of goods before they left the originating country to be sure that you are getting what you ordered, the inspection report will be included. Packing List - List of all the cardboard boxes contained in the container and the contents lists inside the boxes. Invoice - Complete summary of merchandise along with price in the currency of sale. Your customs broker or shipping agent will handle paperwork for you. They will use the Customs Automated Commercial System (ACS), which electronically receives and processes entry documentation and provides cargo disposition information. The system reduces clearance time from days to hours or even minutes. Customs brokers use the Automated Broker Interface (ABI) in combination with ACS to process your merchandise. Insiders agree that using importing professionals makes sense until you are comfortable with the procedures and can begin to take on the responsibility yourself. You�ll discover that shipping agents, freight forwarders, customs brokers, import/export agents and others may have similar or overlapping roles. In fact, many of these professionals and companies have deliberately branched out into other areas in order to be a one stop solution. That means that you can�t necessarily tell which services will be provided by the name of the professional or company you are dealing with. Choose the right group by understanding all of the elements that you need help with (as we have described them here) and then determining which companies offer which services. You can find companies by searching on the wholesale forum categories provided, looking at ads in verified trade portals or by asking on wholesaleforum.com for recommendations. Remember every situation is different. Only you can decide what works best for you and your company. GOOD ADVICE: Once you think you know who you want to work with, float the name in the forums and see if anyone has had experience with the company or individual. There is a great deal of value in mastering the art and science of importing. Start by using professionals to help you through the complexities then do your own managing to increase your final profit on your imported goods.